Another accident involving an electric bicycle, this time, resulting in a 60-year-old man sustaining serious injuries on Wednesday afternoon, 22 Sivan. The accident occurred on Elazar Hamodai Street in the A area of Betar. 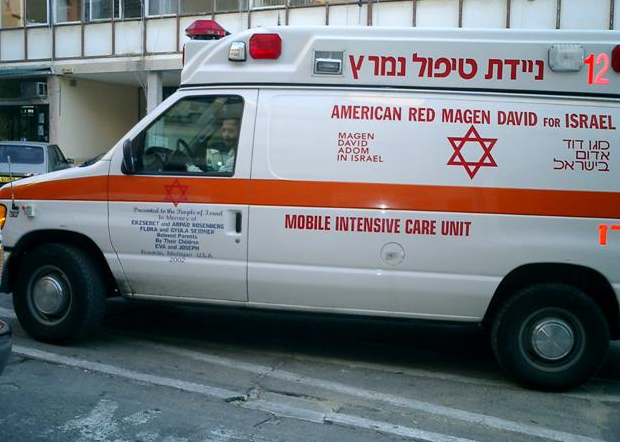 The bicycle struck the pedestrian, who according to medical personnel, is in Hadassah Ein Kerem Hospital in serious condition. Police are cracking down on violators, who are issued stiff summonses. One of the locations police are focusing on is Yaffo Street between King George Street and the shuk, where police wait for bicycle riders who disobey the law, and issue summonses. I have news for you, also children who ride bicycles on the sidewalk frighten me. They whiz by and miss hitting me by inches. If they hit an old person, the person will suffer a broken bone or hip…. Education is essential but in Israel they are too busy learning Torah to learn to be safe….